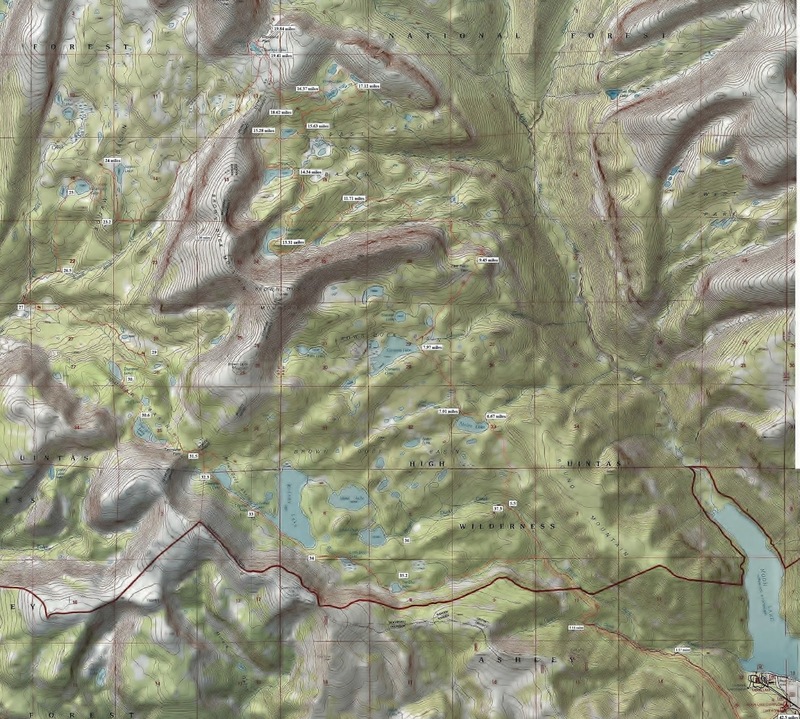 Trip #2 – LAKE FORK TRAILHEAD – to East Basin Pass-Basin, Horshoe, Picture, X-83, Three Lakes, Cleveland Pass-Lake, Squaw Basin-Squaw, Shamrock, Diamond, Mid, Rudolph, Tworoose Pass, Lake, Lily, Kidney, Little Dog, Big Dog, back to Trailhead. 16 lakes, 43 miles, 5-7 days. 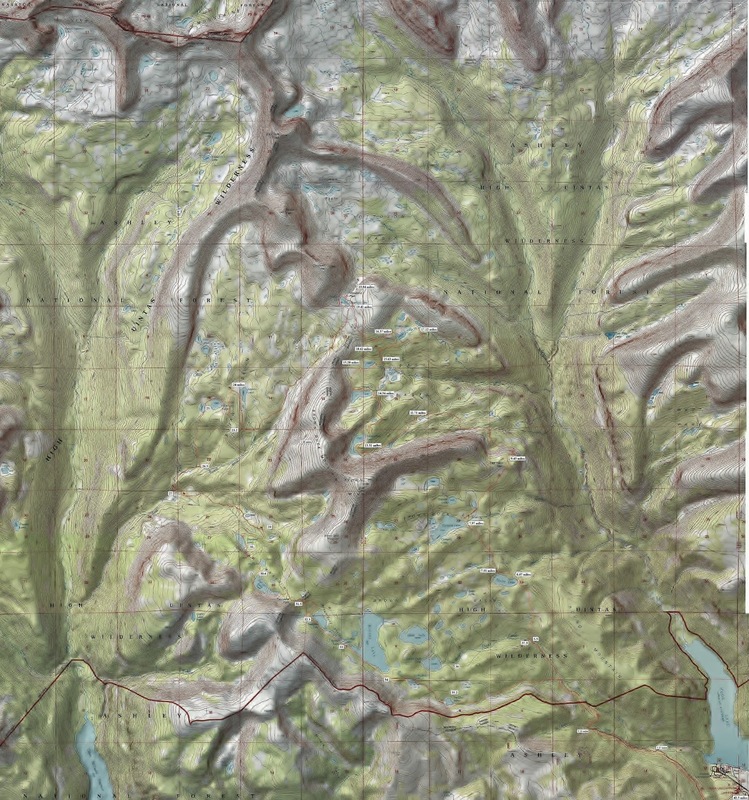 This topographical map shows most of the Lake Fork & Rock Creek drainage’s up to the crest of the High Uintas. The portion involving this backpack is the right-lower section. This is on the South Slope of the Widlerness whose boujdary is seen in red crossing the map. The elevation profile is below showing at each trip mile marker the elevation.